The enchanting musical that first premiered at the Sullivan Street Theatre, an intimate, off-Broadway venue in New York City’s Greenwich Village on May 3, 1960, and went on to set a record as the world’s longest running musical with 17,162 performances before closing in 2002, returned to the equally intimate Chapel Street Players’ stage on June 9th. First seen on the CSP stage in 2001, the latest production of Tom Jones and Harvey Schmidt’s commedia dell’arte-style fable, adapted from Edmond Rostand’s “Les Romanesques,” is back for a new, limited run. Bob Miller is charming as the narrator/rogue-for- hire, El Gallo, and captivates the audience, with his rich, unamplified voice, inviting the audience to use their imagination and enter a world of moonlit magic. 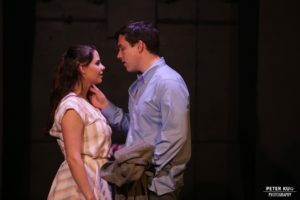 Samuel White and Donna Marie Pizzo are adorable as the star-crossed lovers, Matt and Luisa. White and Pizzo exhibit wonderful chemistry, pleasant vocals, and great energy. 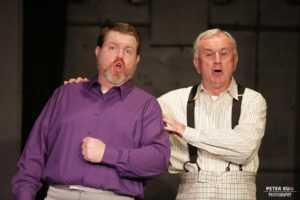 Jim Conte (Hucklebee) and Patrick Ruegsegger (Bellomy) are delightful as the garden-happy dads, garnering big laughs and entertaining with their vaudeville-like song and dance numbers. Dennis E. Williams as Henry, the ancient (and dusty) actor, and Sam Dressler as Mortimer, the death-scene specialist Indian (he’s not really an Indian), hysterically stole the scenes in which they appeared. Ray Barto faithfully replicates, as much as possible, the staging of the original production and Bill Fellner gives equal treatment to the classic score. There are no over-the- top, glitzy numbers here, no fancy-schmancy sets, and certainly no re-imagined adaptation of this beloved classic, just a piano, a handful of actors, some basic props and costumes, and a lot of imagination. The result is the same heart-warming experience that has delighted theatre goers for 57-years. 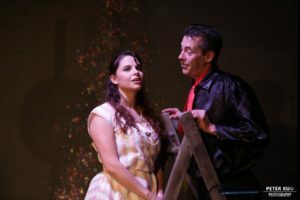 The Fantasticks runs through June 24. 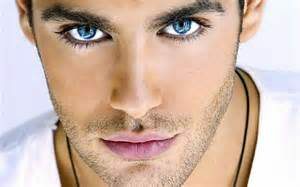 Call the box office at (302) 368-2248 or visit http://www.chapelstreetplayers.org to reserve your tickets today.